There won’t be a Sonic CD style snafu when Let’s Tap comes across the Pacific and then the Atlantic this Summer. Sega of America has confirmed via the company’s official blog that they will keep all the wacky and addictive tracks fro Yuji Naka’s first Prope outing for the domestic release. While only speaking for North America, it is fair to assume the same will hold true for Europe. 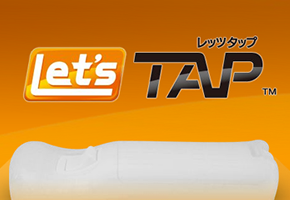 Let’s Tap will be out in June for the Nintendo Wii. We’ll continue to bring you developments on the game as it inches closer to domestic release.